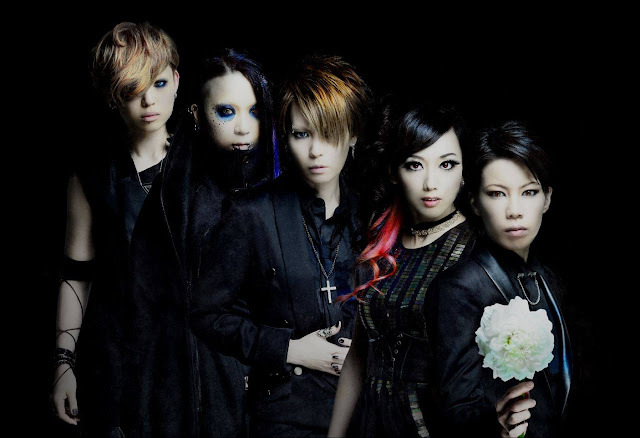 exist†trace - New Mini-album Announced | VKH Press – J-Rock & Visual Kei Coverage Worldwide! Great news for exist†trace fans! The band has announced a new untitled mini-album to be released sometime next March. The new album will contain six songs. Two of the tracks “Twin Wings” and “Shout Out”, were released earlier this year as “one-coin” (500 yen) singles exclusive to their lives and their international fan club, Archangel Diamond. Since the release of their 2014 album World Maker, exist†trace has been busy performing multiple live shows and promotion events. They recently hosted a three-part collaboration series “My Existence” featuring guest artists DISACODE, LAST MAY JAGUAR, DELHEZI, FEAR FROM THE HATE, Sel’m, and defspiral. The band is currently on tour which will end with their one-man “Reason for the existence – Final Act” on December 26 at Shibuya TSUTAYA O-West.